Laila Ali has a new baby girl. Former "Dancing with the Stars" beauty Laila Ali has welcomed her second child – a daughter — the happy mom confirmed on her Twitter account on Monday. "I had my baby girl this morning!" Laila Tweeted around 10 AM PST. "Sydney arrived on her due date at 3am! Everyone is happy and healthy." Laila did not reveal where the baby was born or the child's birth weight. Sydney is Laila's second child with her husband, ex-NFL star Curtis Conway. The couple also has a son, Curtis "C.J." Muhammad Jr. who is 2. In February, Laila opened up about her pregnancy during an appearance on Access Hollywood Live, revealing how she was managing to avoid extra pregnancy weight. "I have to watch what I eat," she said. "I'm a big girl to begin with so I'm walking around like 205 [pounds] right now. Big girl." Laila also said her father, boxing legend Muhammad Ali, was a doting grandfather to all of his grandchildren. "My dad has 11 grandkids and this will be his 12th — my daughter," she told Billy Bush and Kit Hoover. "He loves it. My son is the first grandchild that actually looks like him, so he loves it and he has his middle name — little Curtis Muhammad." 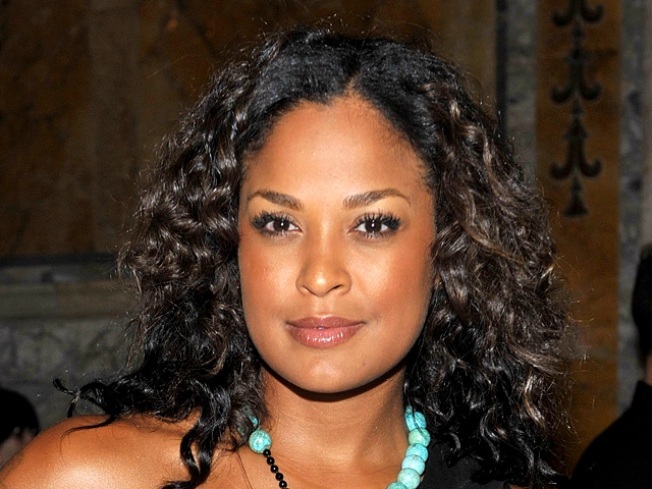 PLAY IT NOW: Dish Of Salt: Who Will Laila Ali Vote For On 'Dancing With The Stars'?